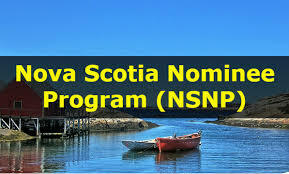 Also Read: What is Canadian PNP program? This category provides successful candidates with a provincial nomination and an additional 600 ranking points, effectively guaranteeing an invitation to apply for Canadian permanent residence. This category does not require a Canadian job offer or Canadian work experience. This category has no minimum Comprehensive Ranking Score (CRS) score requirement. Express Entry stream of the Nova Scotia Demand category has a category B that is known as first-come, first-served category. That means the candidates who fill his or her form first will get selected for the further procedure. This stream was last opened on April 28, 2018, and it reached its limit within a few hours and closed to new applicants as the numbers of seats were filled. You must have a profile registered in the federal Express Entry system. You must have a Score of 67 points or more on the stream’s six selection factors. You must have at least one year of skilled work experience in one of Nova Scotia’s target occupations. You must have a Canadian high school credential or equivalent. You must prove language ability in English or French at Canadian Language Benchmark 7. You must have enough financial resources to successfully settle in Nova Scotia. Amira is 29, has an English language proficiency equivalent to CLB 8 across all language abilities: Speaking, Reading, Writing and Listening. She has been working as a licensed practical nurse (NOC 3233) for four years outside Canada. She holds a Bachelor’s degree and two-year certificate. Amira never worked or studied in Canada. Amira scores 67 points under Nova Scotia point system and has an Express Entry CRS score of 380. Also read: What is NOC? Amira successfully applies under Category B and receives a nomination from Nova Scotia. With the additional 600 CRS points that Amira receives for her nomination from Nova Scotia, her Express Entry ranking score rises to 980. Kevin and Melanie are 35 and 38 years old, respectively. They both hold Bachelor’s degrees from post-secondary institutions outside Canada. Kevin has four years of work experience as an Administrative Assistant (NOC 1241) and Melanie has worked as a Librarian for three years outside Canada. Kevin has an English language proficiency equivalent to a CLB 7 under all language abilities. Melanie’s English language proficiency is equivalent to a CLB 5. Kevin and Melanie score 67 points under Nova Scotia’s point system. Countrywide visas is a fastest growing Immigration consultancy with a large devoted team of Immigration experts providing, its clients a hassle-free, professional services to file their applications for various immigration programs. You are welcome to call us or send us an email with your immigration questions and inquiries. You may contact us on 011-41075840 / 011-41045840 or leave a mail at info@countrywidevisas.com. You may also fill theTechnical Assessment Form for free to get a call back from our Immigration Specialists. All you need to do is fill an assessment form and let our immigration experts assist you over the phone call or by meeting you in person and give you the best available options to fulfill your dreams of settling abroad.